Sunsweet Growers is a cooperative engaged in the production of dried fruits and other fruit products. The cooperative is based in California, USA. Sunsweet Growers was originally named California Prune and Apricot Growers Association. This agricultural cooperative was started in 1917. Its main purpose was to act as a selling agent that would offer the harvests of its member-owners. The crops were marketed under the brand “Sunsweet.” Working with the cooperative, growers were able to afford offering lower prices to consumers, as selling their harvests individually was more expensive. After almost 90 years, the cooperative’s brand boasts of world-class popularity and quality, as 85% of households in America patronize the Sunsweet brand. In 2004, Sunsweet completed its drying facility for prunes in Chile. Putting up a facility outside of California and outside of the United States was the cooperative’s plan of action to continue to produce dried fruit even if disaster hit the crops of California or elsewhere in the U.S., which happened for two years in California. 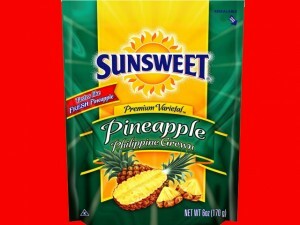 Currently, Sunsweet Growers is owned by 400 growers and continues to market dried fruit products. The cooperative produces a third of the world’s prunes (over 50,000 tons every year), making it the world’s largest producer of dried fruits. It also produces other dried fruits like apples, dates, blueberries, peaches, pineapples, apricots, cranberries, mangoes and pears. About 40,000 cases of these dried fruits are produced by the cooperative every year. Sunsweet also produces prune juice and other fruit juices. The cooperative distributes its products to retail food companies and foodservice operators all over the world. Aside from further developing the cooperative’s operations, it has also continued its commitment to environmental sustainability. Sunsweet is continually finding ways to reduce waste in its processes, as well as find new ways to make use of its by-products. Among its ‘green efforts’ is the recycling of packaging wastes such as glass, fiber, PET and cans, using energy-efficient, steam power and lighting in the cooperative’s facilities and the reduction on the amount of packaging used by the company. The production by-products do not take up any landfill space, as two-thirds of it are being sent to compost and the rest of it are used to supplement livestock feed.